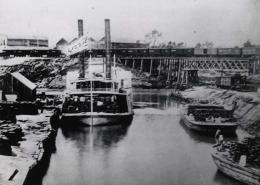 Boats of the Houston Yacht Club stranded at Allen's Landing as a Houston Metro train crosses the Main Street Bridge. Though the original Port of Houston was in downtown Houston, near Main and Commerce Streets, it’s a rarity to see many, if any, boats in that area on Buffalo Bayou. 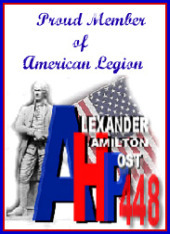 However because of three barges’ hitting a huge power tower near the banks of the Houston Ship Channel many miles downstream, a number of boats from the Houston Yacht Club are now docked at Allen’s Landing. Members of the Yacht Club take an annual excursion up Buffalo Bayou to celebrate the group’s founding. The party usually is a several-hour long shindig, but the barge-tower accident occurred while the group of boats was going upstream, causing the entire ship channel to be shutdown. Now the boats are sitting pretty until major repairs are made on the power line. Read more about the Houston Ship Channel and the old Port of Houston in a previous post. Ground-breaking ceremonies were held to inaugarate the beginning of construction of two new light-rail lines in Houston. Work will be starting on the Southeast Corridor Line and the Northline Corridor Line. 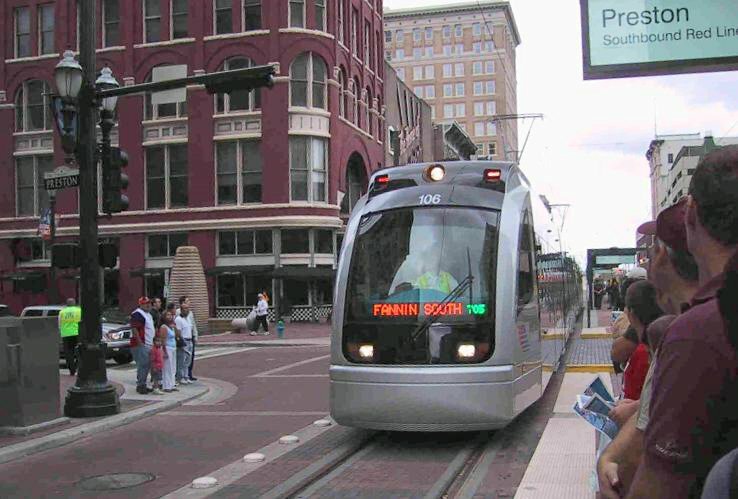 Both of these will connect more commuters to downtown and the present line, which goes from the University of Houston Downtown on the north to beyond Reliant Stadium on the south. 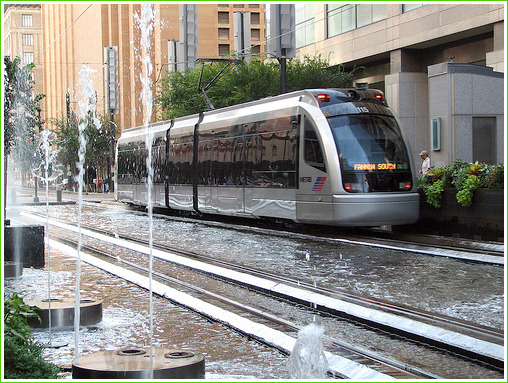 Read more here about these and three other new Houston METRORail lines, which will soon be part of the Houston Metro System. Today contracts were let for four new lines by the Metropolitan Transit Authority of Harris County. In addition to these lines is the fifth new line, the University Corridor Line, which is part of another contract, but is to be built during approximately the same time frame. 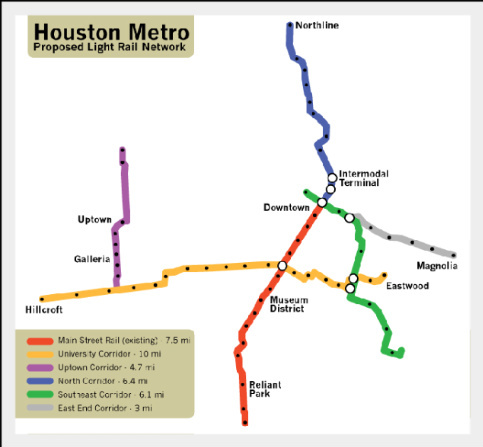 The almost 1.5 billion dollar deal (plus a similar price for the Corridor Line) will add to the current single line, which has as its northern terminus the University of Houston Downtown, passes through downtown Houston on Main Street, then on to the Museum District and Medical Center, and finally alongside Reliant Stadium (home of the NFL Houston Texans) to its southmost stop just outside of Loop 610. The original line was finished in 2004 despite the efforts of many community activists and others who fought against commuter rail, saying that nobody would use it. Anyone who rides the Metro today will see the cars filled with riders of all types, especially students and downtown and medical center employees. The addition of the rail line was one of the factors which has led to a “renaissance” of the entire downtown area, which just like those of many other big series had slipped into a period of decay as freeways and shopping malls pulled many city dwellers and newcomers to the Houston area to the suburbs. The East End Line (3 miles), which will cross the current line very near its present northern stop, but mostly will head east toward the Harrisburg area, sometimes known as Magnolia or Navigation. This is an old, primarily Hispanic area near the Houston Ship Channel. Probably the most famous establishment in this part of Houston is the original Mama Ninfa’s Restaurant on Navigation Street. The Southeast Line (6.7 miles), which also starts at the north end of the current line, then somewhat zigzags its way near University of Houston Main Campus and continues on. 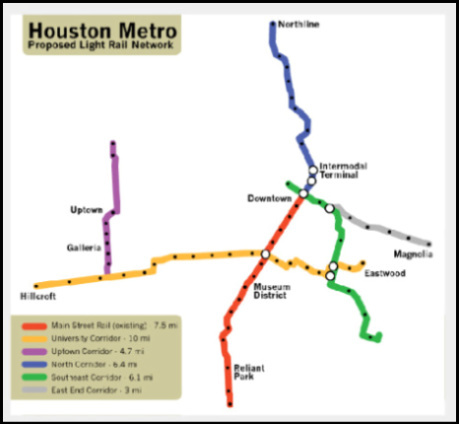 The University Corridor Line (10 miles), which starts in Eastwood, an area near the University of Houston Main Campus and heads west crossing the Main Street Line and goes out to the near southwest side of town. This line has been the most controversial, fought against by homeowners and neighborhoods, who don’t want the rail to pass through their areas. 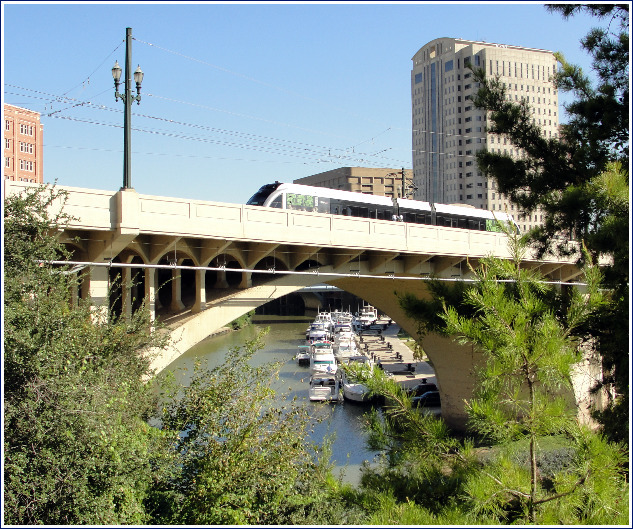 The Uptown (4.7 miles), which will connect perpendicularly with the Corridor Line, and pass through the Galleria and Uptown Park areas. This is an ambitious project, but one worthy of the 4th largest city in the United States. 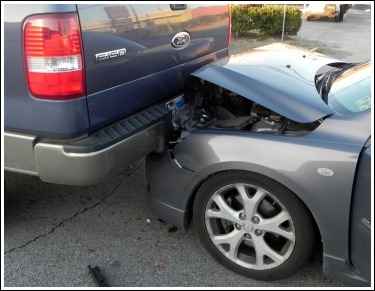 Although Houstonians are known to be in love with their cars, and high-priced European sedans, Hummers, and double-cab pickups, and other gas guzzlers are the norm rather than the exception in this city, the recent high-dollar price of gas and now the more recent general economy slump have moved many drivers to rethink their daily means of getting to work. However, these new rail lines do not really reach that far out from the center of the city, so many commuters will still need to use the current freeway system to get to their jobs, keep taking the non-too-frequent Metro buses, or perhaps drive to the end terminals of the new lines. Officials say they hope these lines will be completed sometime in 2012; that seems quite a large order for such a huge project. In addition, they say that these projects will add 60,000 jobs to the community and that some of the cost will be paid for by the stimulus package, which President Obama and the Congress have approved. With all the construction taking place all over the city, but especially in areas surrounding downtown, this project will probably bring major traffic nightmares to the city before it is actually completed. The Port of Houston Turning Basin near the 610 Loop Bridge that crosses the Channel. Beyond the basin, the ship channel becomes more of its original self–Buffalo Bayou with downtown Houston in the background. During Hurricane Ike, local officials and residents were worried about the surge from the storm pushing water up into the area bayous and flooding low-lying parts of the city. (For people out of the area, Houstonians call the area’s streams that flow into Galveston Bay and the Gulf of Mexico “bayous”.) The primary bayou, which also flows through a large part of the city and finally down through downtown Houston, is Buffalo Bayou. 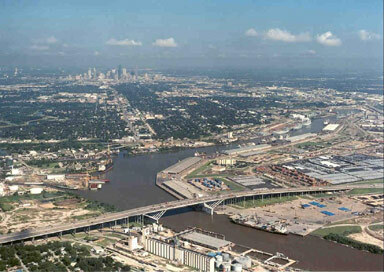 In the early days of the city, Buffalo Bayou once was the site of a port in what is now downtown Houston. Later, there was a major dredging of Buffalo Bayou from Galveston Bay, and this is what is now known as the Houston Ship Channel and is the site of the current Port of Houston. However, the Houston Ship Channel ends at the Turning Basin, which is in a part of Houston known as Harrisburg (which, in the early days of Texas, was a separate settlement), several miles down Buffalo Bayou from that old Houston port. Very close to the Houston Ship Channel are some of the primary refineries and chemical plants of the entire Gulf Coast area. Bayous are a bit different than regular rivers or streams because the water can flow in both directions, moving backwards, or upstream, when the tide is high. The old port of Houston on Buffalo Bayou that was used from the early days of the city until 1914, when what is now the Port of Houston was started about six miles further downstream.